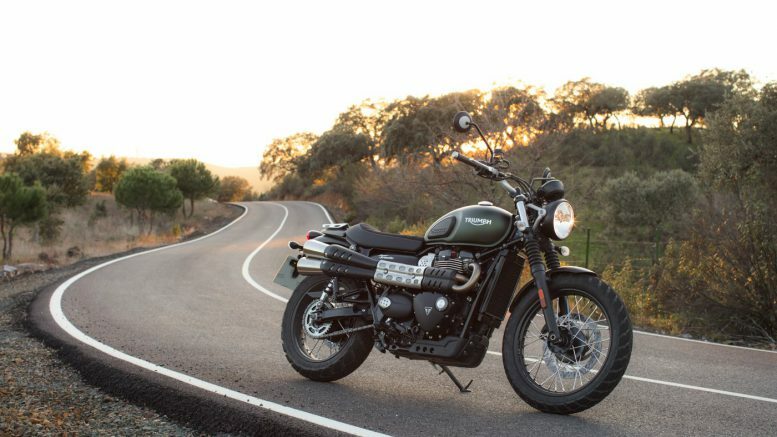 Triumph Street Scrambler, based on the smallest of the Bonneville range the Street Twin, has been launched in India on 24th August at Rs 8.10 lakh, ex-showroom. Off road enthusiasts are in for a treat as the new Street Scrambler will allow the rider to take the offbeat route. It will be powered by the same engine from the Street Twin, however, the engine has been tweaked to deliver more grunt on lower revs. Also, the chassis has been strengthened to withstand off road riding better. The 900cc ‘High Torque’ parallel-twin engine from the Street Twin makes 55 hp and 80 Nm of torque, paired with a five-speed gearbox with torque assist clutch. It will carry forward the ride by wire and switchable traction control. The model will be the first in India in the Bonneville range to cater to off-road riders. The suspension duties on the motorcycle are served by a 41mm KYB front forks and twin shocks with adjustable pre load, both with 120mm preload. The stopping power is done by 310mm single disc single at the front and single 255mm disc at the rear with a switchable ABS, the last coming in particularly handy in off-road conditions. It has a fuel tank capacity of 12 litres and delivers fuel efficiency of about 26 kmpl. The motorcycle gets a host of features such as LCD display with analogue speedometer, odometer, traction control display, gear position indicator, TPMS( tyre pressure monitoring system) and switchable traction control, interchangeable pillion seats, aluminium rack with removable pillion pegs. In addition, the Street Scrambler gets an immobiliser, LED rear light and USB socket. The motorcycle will compete with the likes of Ducati Scrambler Desert Sled. Recently, Triumph also launched the Speed Triple S at a price of Rs 8.50 lakh and it is expected that the British brand may introduce the powerful versions of it R and RS soon. Be the first to comment on "Triumph Street Scrambler launched in India at Rs 8.10 lakh"